Our 20 years of experience in Direct Mail & Printing makes Direct Mail easy for Marketers & their Agencies. Our clients count on our industry knowledge and data-driven, impact direct marketing campaigns, loyalty programs and lead generation programs that deliver superior results. Our team will analyze your business and create result-oriented campaigns designed to meet your goals. We act as if your business is our business and utilize the most cost effective solutions to gain maximum returns from any size marketing budget. Simply submit our contact form or call us today to get a FREE analysis of your direct marketing program. Our analysis will identify where your top prospects are and will guide you on how to attract new customers and retain and grow your existing customer base. And the best news is that this information is all free and without a commitment. Don’t miss out on market insights that will yield more revenue! With over 20+ years of automotive direct mail experience, we design and print winning direct mail pieces that drive traffic into showrooms which result in sales and high ROI. 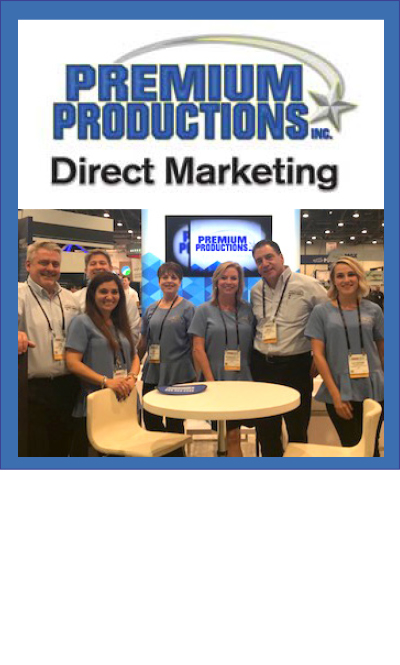 At Premium Productions we create and print a number of direct mail pieces for clients across a variety of industries such as real estate, insurance, landscaping, restaurant, nonprofit, as well as other small businesses. Premium Productions is an experienced and efficient printing partner. As a complete full service printing company, we offer attention to detail based on the creative and commercial needs of our clients. We understand that you demand real measurable results from your marketing dollars. We offer numerous services to provide you a competitive advantage for your efforts.